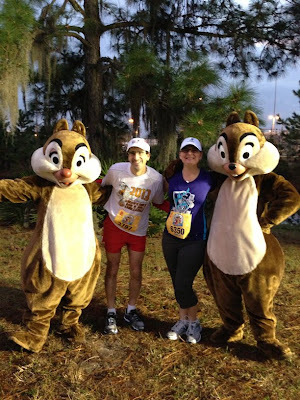 As you probably know, my lil' sis Jen is here with me in Orlando for the Walt DisneyWorld Marathon weekend. This four day event features races of various lengths for all ages. The littles ones get to "run" distances up to a mile on the ESPN Zone track, and the bigger kids can participate in the 5K (which was Friday), the half-marathon and the marathon. Fireworks Kick off the 5K! 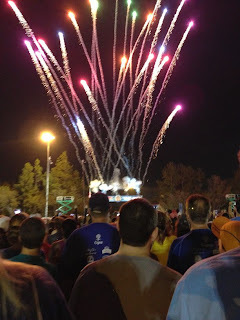 Jen and I walked the 5K on Friday which was a lot of fun. We stopped to take a ton of pictures and generally strolled through Epcot. We then wore our 5K shirts (you get one of those with your entry fee) and lots of people asked us about how it went. They then inquired if we were running more this weekend. Nearing the finish of the 5K. Time for an Epcot photo op! 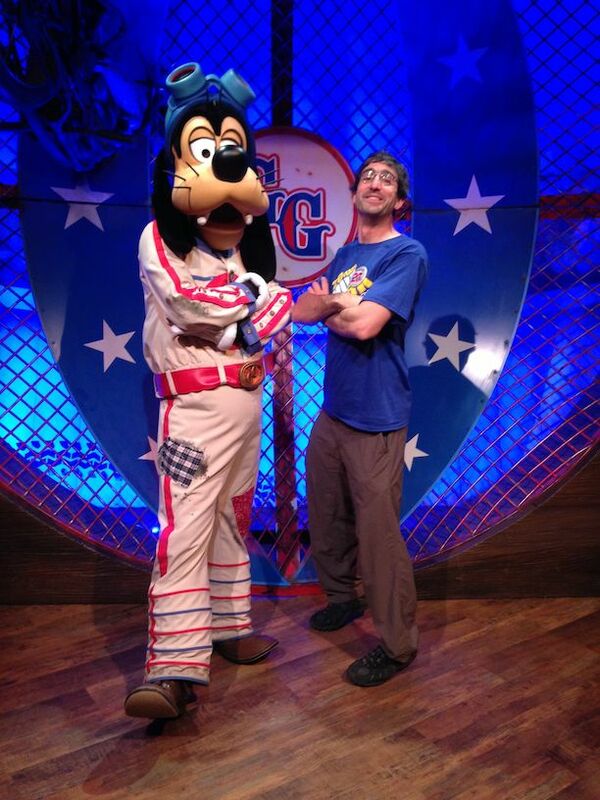 Those that sign up for the half and full are participating in Goofy's Race and a Half Challenge. This 39.3 mile weekend includes both races, a special medal for finishing both races (as well as the normal medals for each) and 3 shirts. The park cast members and resort staff are all very knowledgeable about the events, and marathon runners get a special pin to wear saying they are running the marathon. This cues cast members to wish you luck on the upcoming races. One of the concierge staff mentioned that if you participate in the 5K, half and full, this is unofficially known as the Dopey Challenge. Other people have mentioned it as well, so it's pretty well known if still underground. 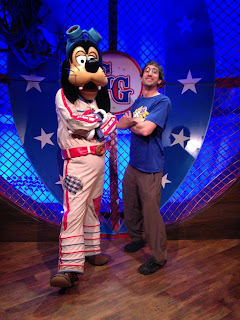 In any case, I was sure to get pictures with Goofy and with Dopey so I had all my bases covered. You can see them above. 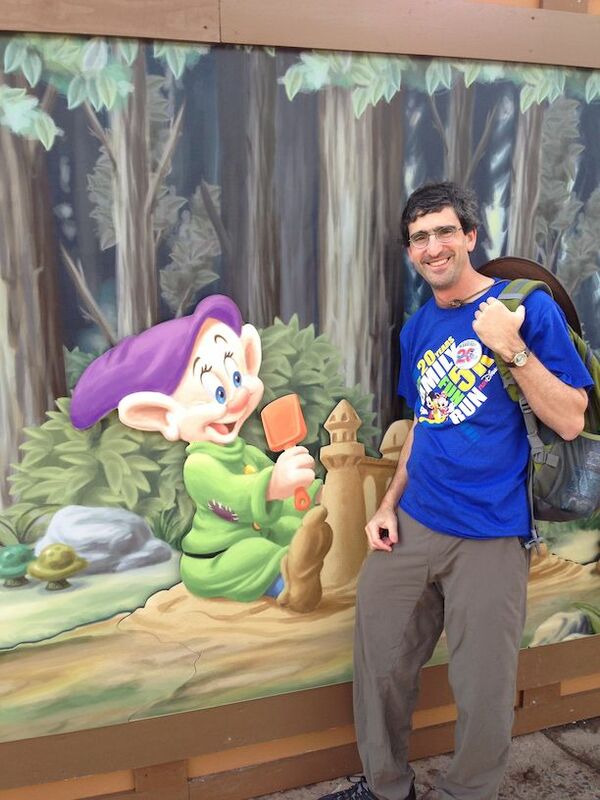 Goofy or Dopey? Probably both! More updates after the races. 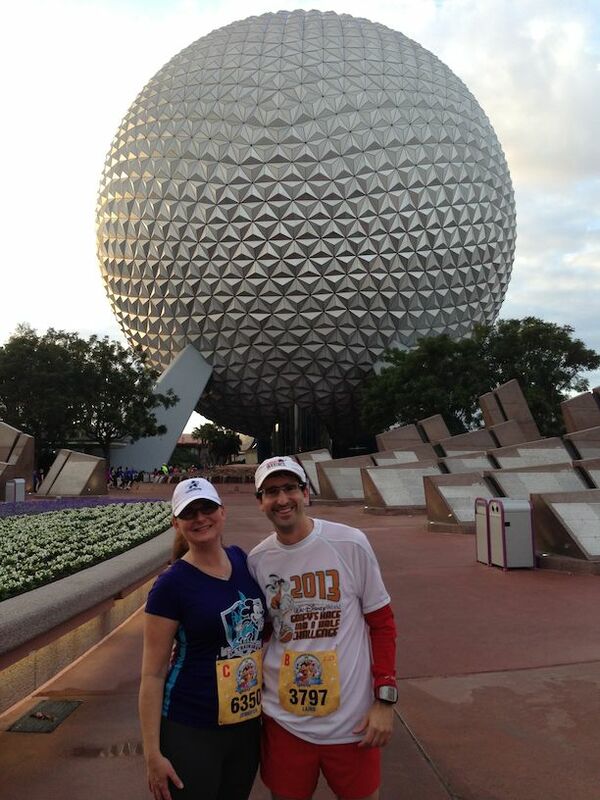 It's been an awesome time so far here at WDW and especially with Jen, and I expect that to continue through Sunday.